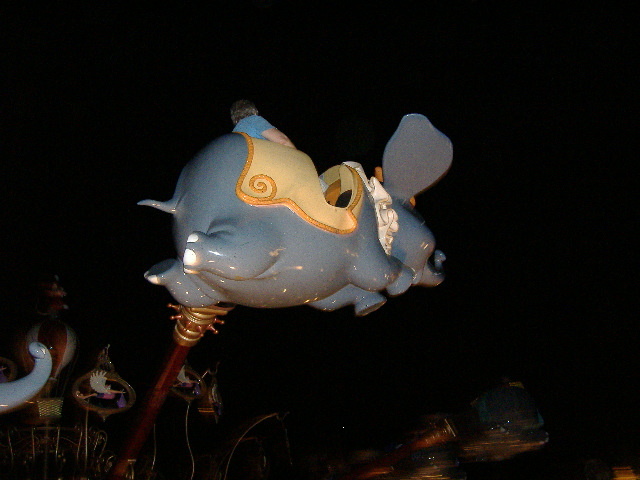 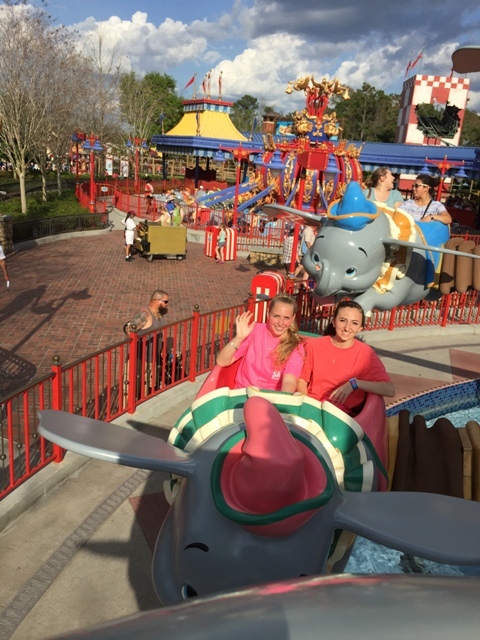 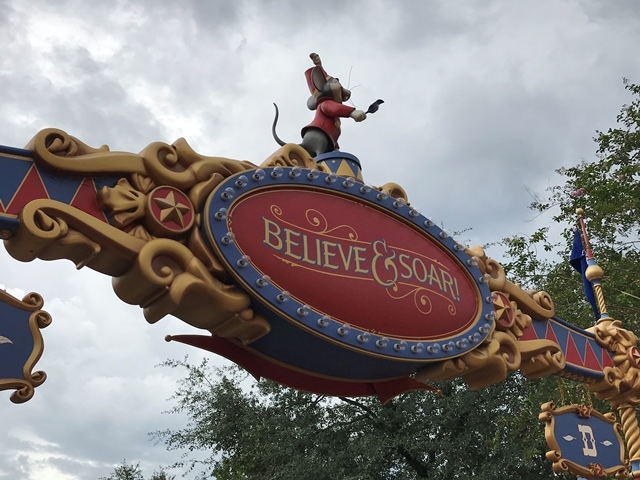 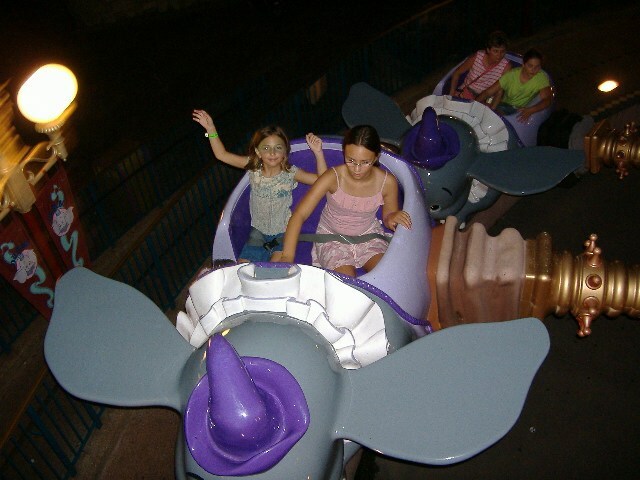 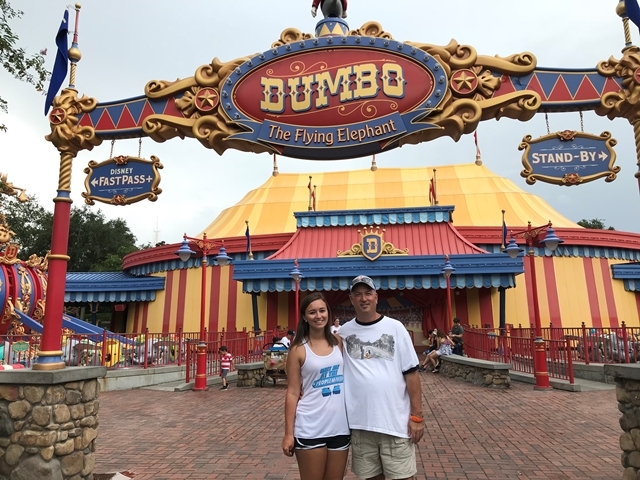 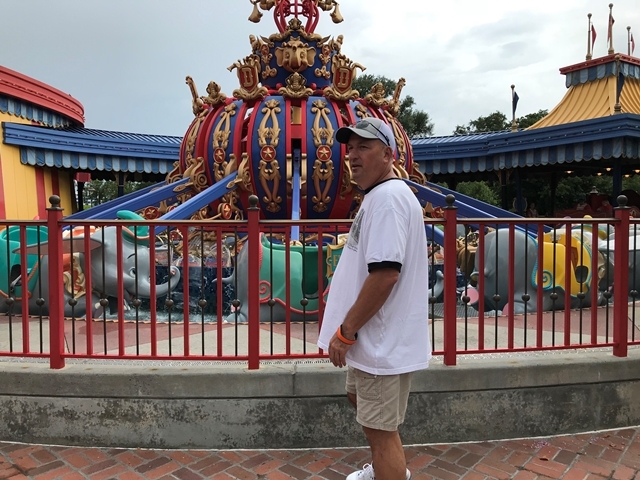 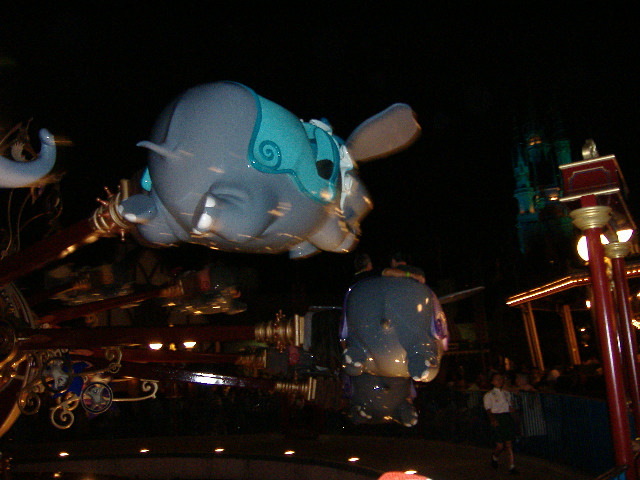 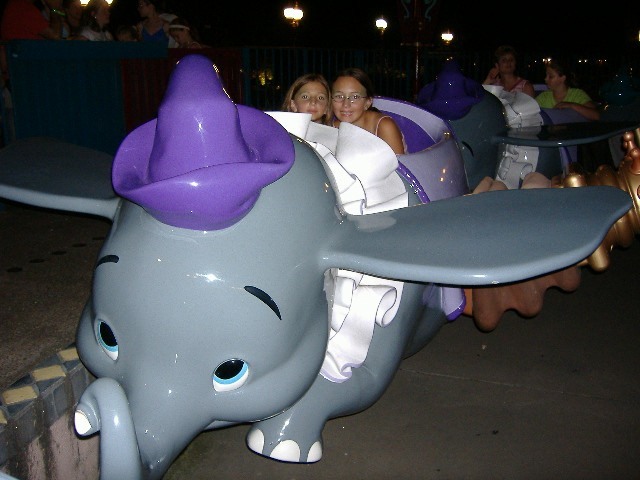 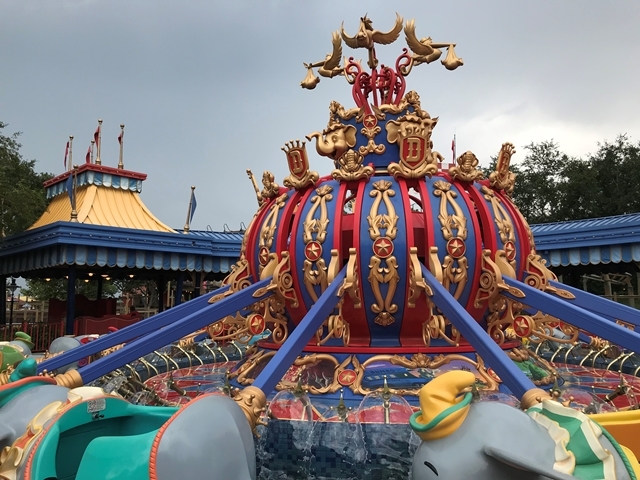 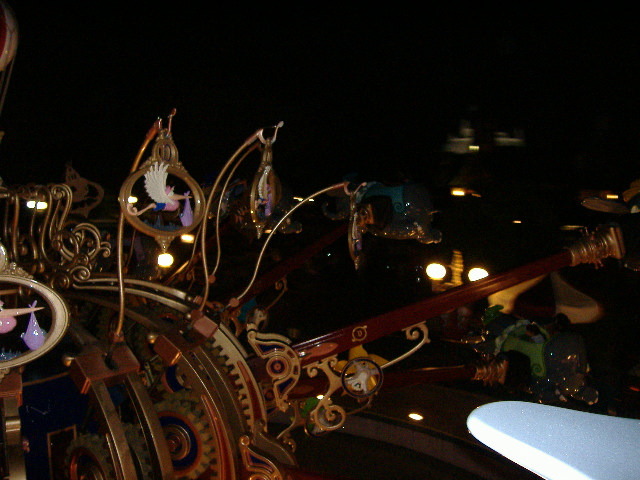 Dumbo flies you high over Fantasyland. 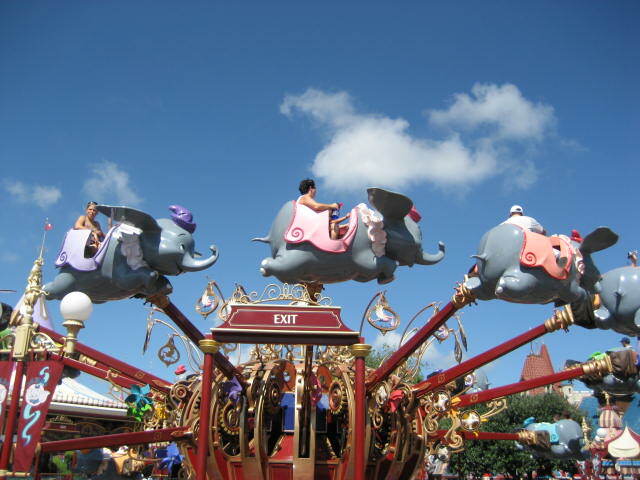 Each elephant holds two people & moves up and down while in flight. 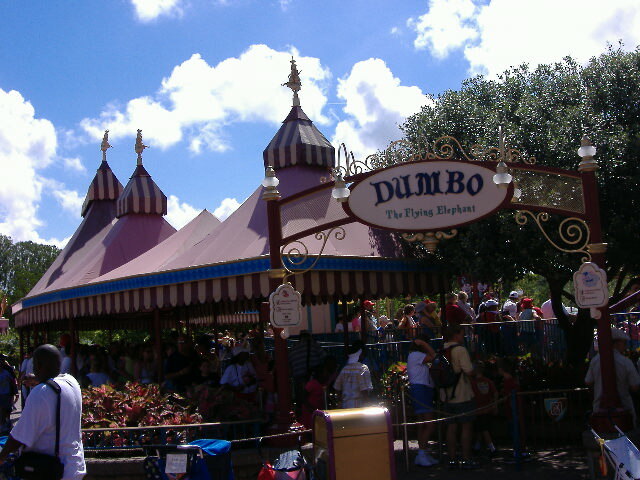 Beware... this ride's line is deceptive and can be one of the longest at Disney World. 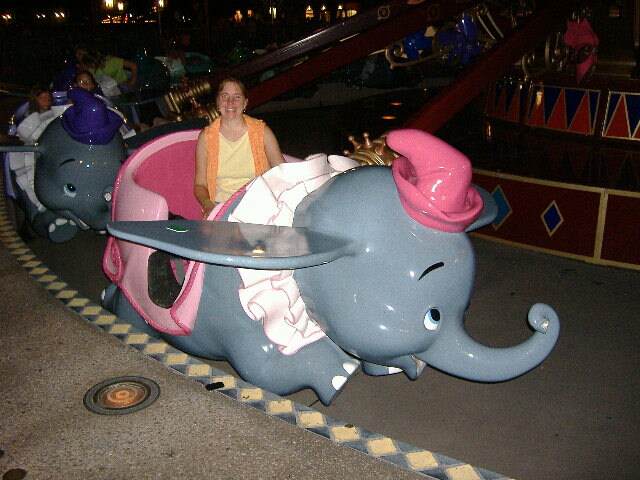 The ride only seats a few at a time. 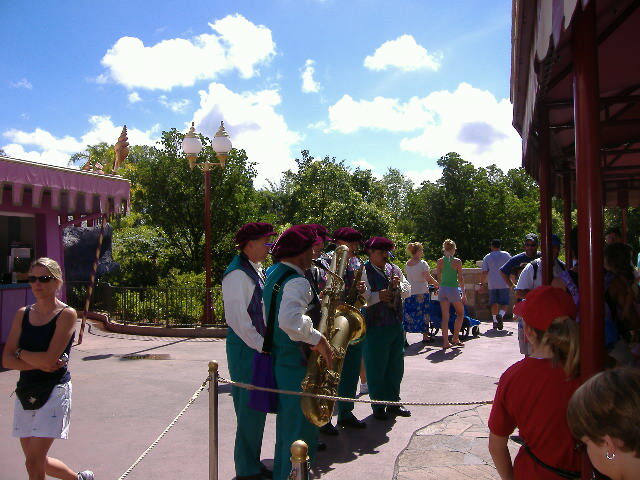 Thus what would be a short wait for other rides turns into a long wait. 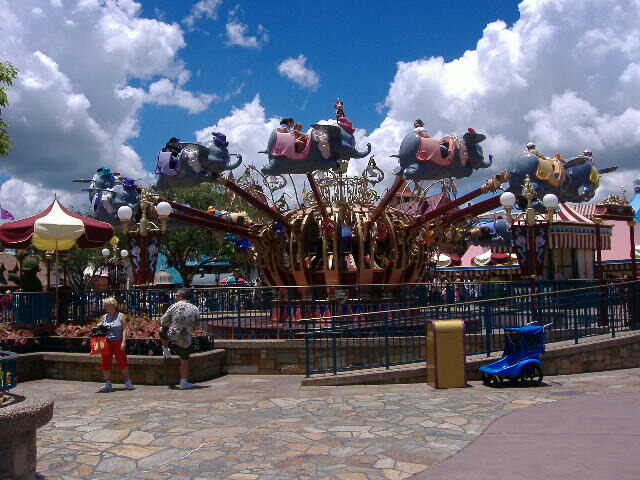 A must for children. 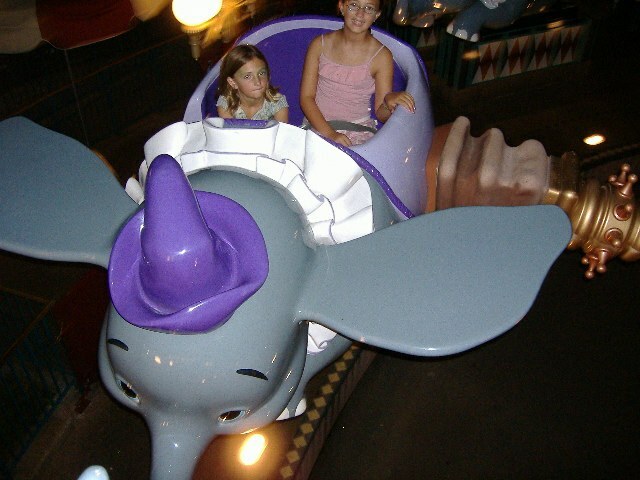 Do it early. 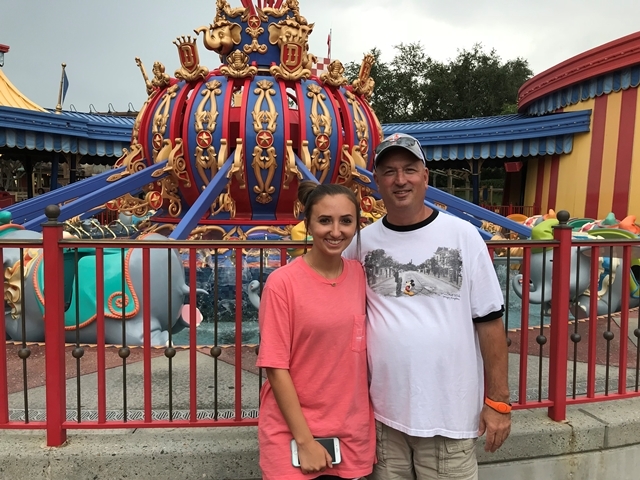 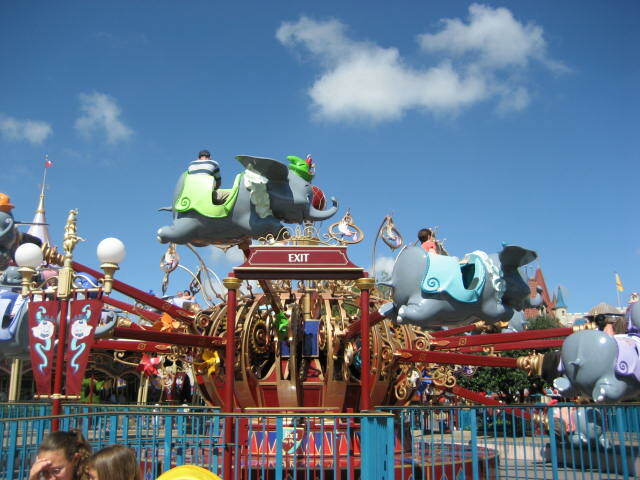 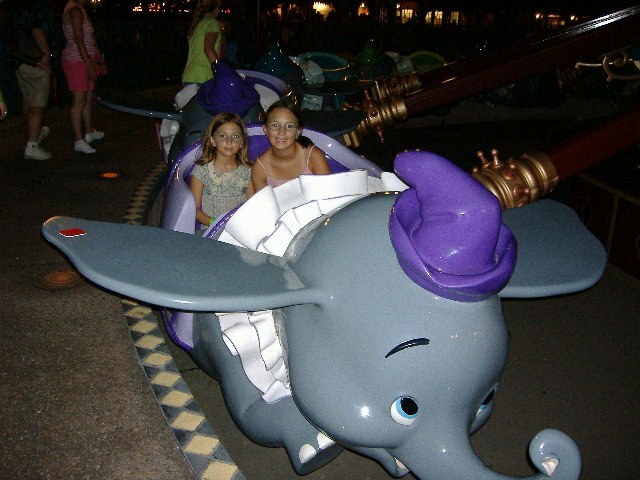 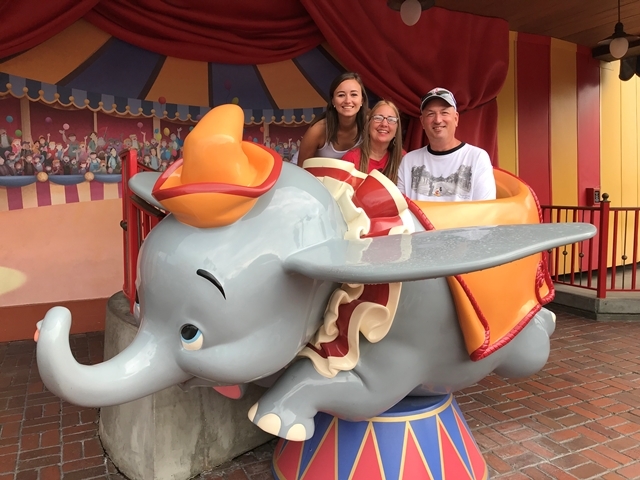 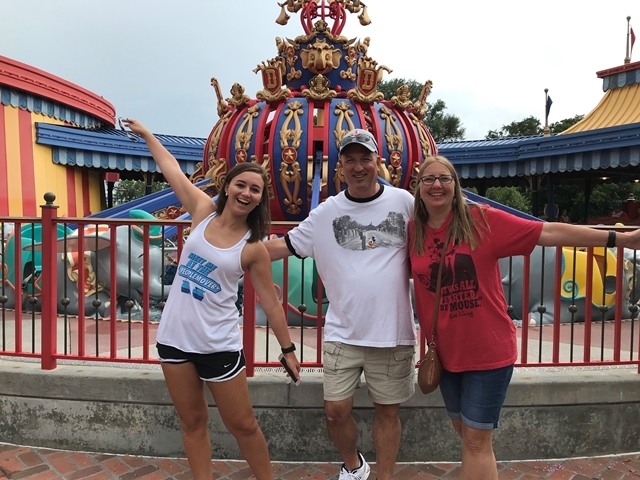 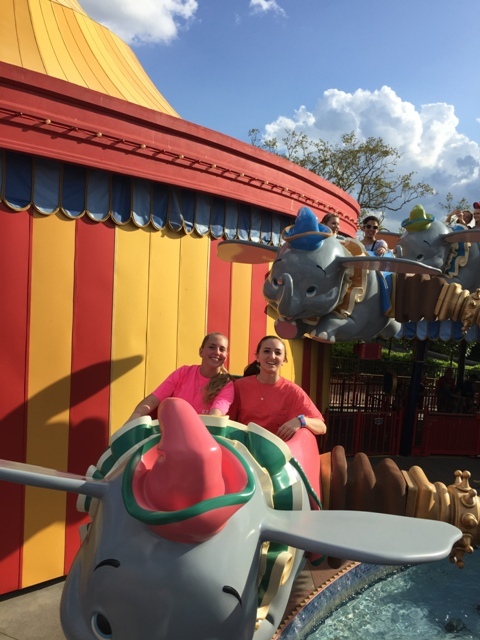 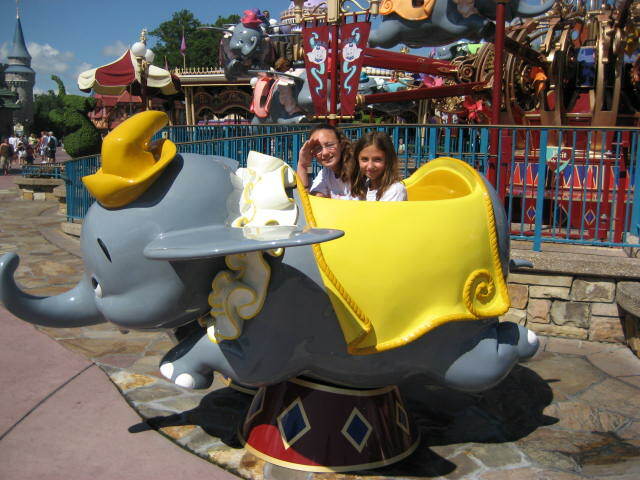 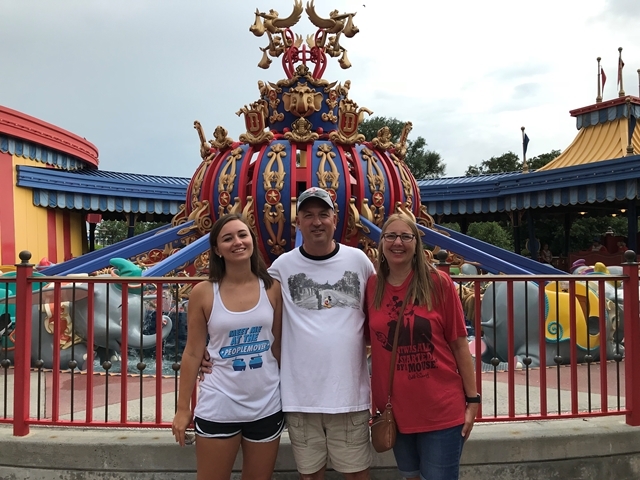 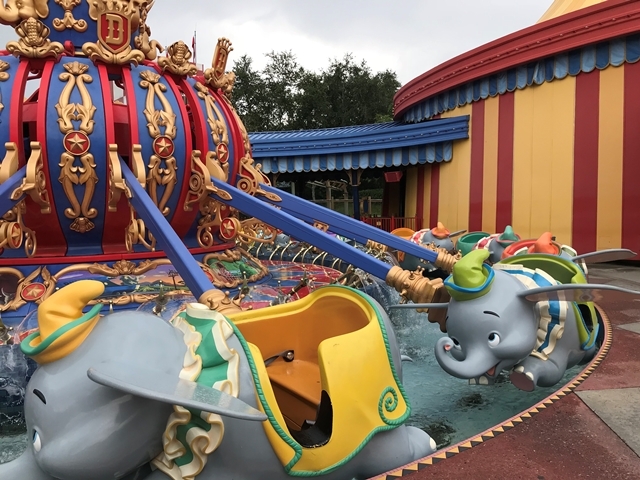 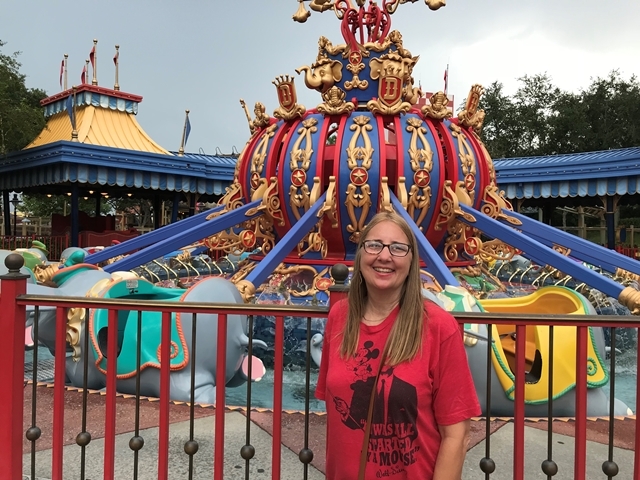 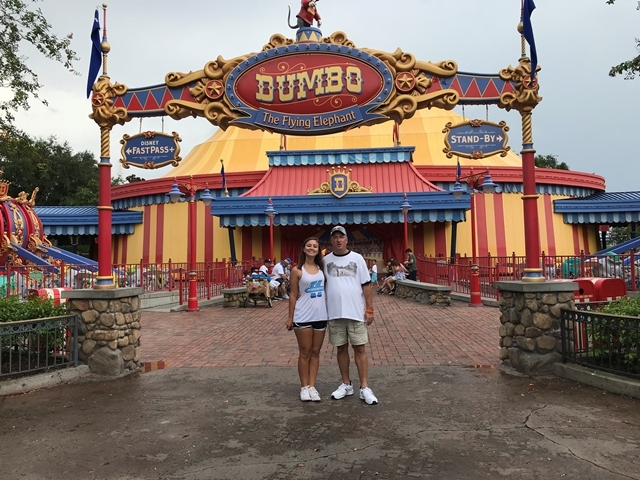 Dumbo is inspired by the 1941 film classic Dumbo, is one of the original Magic Kingdom attractions.